Peter Iacopi (holding clip board and flashlight) and Steve Iacopi (wearing the tool belt) started in the construction trades back in 1988 working with contractors and performing construction services in our home town of Half Moon Bay, Ca. In 1992 we passsed our Contractors License exam and started our fist business, Iacopi Construction. 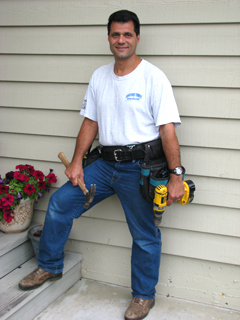 We built decks, fences, remodeled bathrooms, painted houses and did other construction related jobs. In the same year we were involved with the termite business and were in the process of finding a qualifying manager to run a termite business with us. In 1993 we both passed the Field Represenitive license exam, found a manager and opened Coastside Termite. 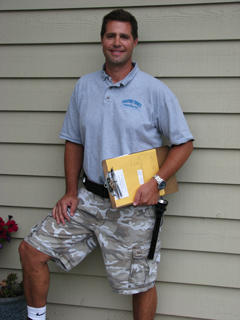 In 1995 after two years with a manager and hundreds of inspections and repairs under our belts, we both took and passed the Pest Control Operators examination. Coastside Termite has been going strong ever since. We both thoroughly enjoy our work in this industry and have met lots of great people. Coastside Termite is a small, family run business. This means that the owners of the business are involved with the termite inspections and any repairs that might have to be done. So next time you suspect termites, selling your house or just in need of a remodel, call Coastside Termite.